EvergreenHealth seeks help from residents as it launched the “EverHealthy” campaign in preparation for an upcoming vote on a $345 million, 20-year bond that would fund critical upgrades. 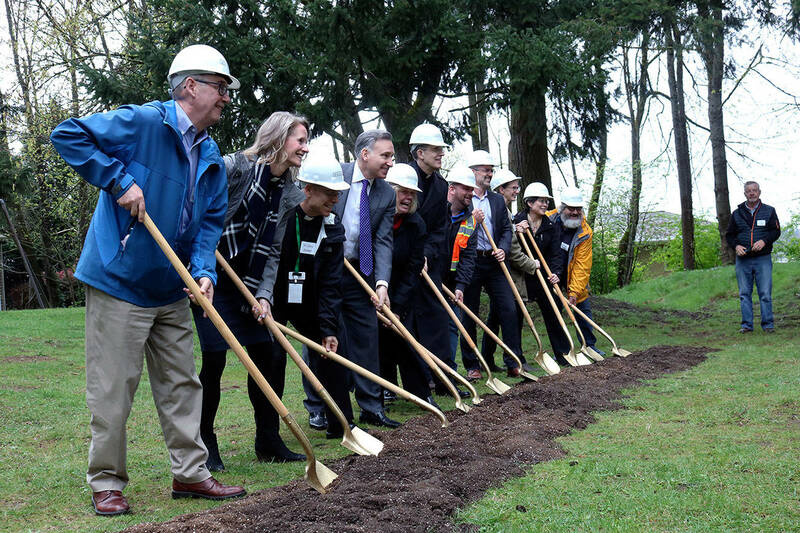 The upgrades needed for EvergreenHealth’s Kirkland medical center are outlined in the health system’s 10-year Master Facilities Plan (MFP). Specifically, if the ballot measure is passed, property owners in the hospital district will pay $0.18 per $1,000 of assessed home value per year over 20 years to pay for upgrades to the medical center’s critical care unit (CCU), extensive seismic upgrades to the original hospital, modernize the family maternity center (FMC) and update aging systems. EvergreenHealth completed phase one of the MFP on time and on budget in 2017. The first phase included a Neuroscience, Spine and Orthopedic Institute, new inpatient units at the Silver tower and a new primary care and urgent care practice in Kenmore. Residents will have an opportunity to vote on the bond measure through a vote-by-mail ballot on April 23. The measure will need 56,283 votes to qualify and at least 60 percent of the total voters to vote “yes” in order to pass. Ballots were distributed to voters in the hospital district — which includes parts of the cities of Kenmore, Bothell, Woodinville, Kirkland, Redmond, Duvall, Sammamish and Carnation — last week. “Part of property value is tied to opportunities and infrastructure in the community. Schools and hospitals are both very important to what businesses and property owners value,” Beiter added. The funding is required to implement the next phase of the MFP and replace outdated infrastructure. The upgrades will take place over about three to five years to fully complete with minimal patient disruption. Beiter added that in the unlikely case voters don’t approve the measure, EvergreenHealth will have to reevaluate the project and spread it out over a longer timeframe. The seismic upgrades in the oldest areas of the original hospital are particularly important as it was built in 1972. While all the facilities were up to code when they were constructed, seismic standards have improved and EvergreenHealth made it a top priority to be operational even after a strong earthquake. The funds will also pay for the construction of a redesigned CCU in a new location and a modernized FMC, which was last renovated in 1996. The CCU relocation will position it on the Silver tower’s third floor, closer to specialties that often coordinate with the CCU. Officials also hope to enhance its family inclusive care by designing the space to improve the patient’s and family’s experience. The FMC would see a complete redesign and renovation to better accommodate families and new equipment along with “an optimized layout that increases efficiency for provider teams, and an updated entrance and OB emergency department to offer a more comfortable environment for patients in early labor,” according to EvergreenHealth officials. The space will also expand to accommodate more families and laboring mothers.